this topic is going to be a place where I will upload some of the more random ships but I make, as well stuff that doesn't fit into my kingdom of Zipang AU or anywhere else. First drawing that I bring to you is a random battleship i Drew recently this battleship has a length of 176 m and a Beam 27 m, and with a displacement of about 25,000 tons, Armament consists of 8 356 mm guns and 8 150mm guns, and that's about it for this particular ship. These are very nice tugs, and well drawn. Very nice work, always good to see some smaller utility craft. Yes! You are right! Senjo looks very fine, and has more japanese taste than a miso soup! Very well done! Your making excellent progress. Both the Senjo and Echigo look really good. Maybe using the new 3x3 porthole would make them look even better, but I can't see anything that looks 'off' they look very well drawn and are really nice designs overall. The Echico CDS is a really neat little warships. But the Senjo, I'm sorry, despite a good amount of details and original tweaks is largely from what I can see a heavily modified version of the Kokoan 1934 light cruiser project I did for entry in the Treaty Cruiser Challenge we did some time ago. It is even exactly 1284 pixels long, just like the CL I did. Plus, I also can see some bits from other ships from my Koko AU. 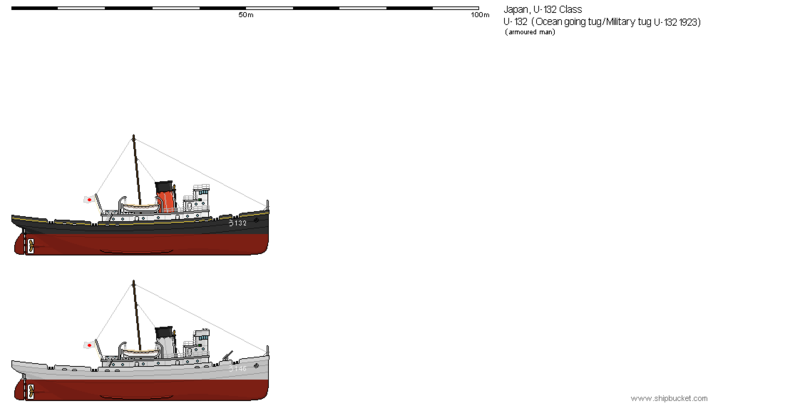 And the bridge from an an Agano class, which I alsodrew for real life IJN. You can keep the drawing and use it in you AU as much as you please, it is not a problem, but you have to add me in the credits, before youre name in this case.